You are probably looking for something special, something personal. A remarkable ring or bracelet, an exclusive necklace, one of a kind earrings or some other extraordinary piece of jewelry. Perhaps you are about to propose to your loved one, or planning a wedding. Or you might have another special occasion planned. You’ve looked everywhere and been to all sorts of places but all you’ve been able to find is much of the same. Everything seems mass produced and not custom made. And when you do come across something personal at a jewelry shop, the price of that item can be quite steep. At DiamondsByMe, we offer you artisan and exclusive jewelry, such as seal and engagement rings at affordable prices. Indulge yourself. It is your special day, your personal piece of history, after all. DiamondsByMe is a young and ambitious web company which is the result of pure passion for the art of goldsmithing. We combine ancient crafting of goldsmiths with the latest modern techniques of the jewel industry. Therefore we are able to make affordable handmade jewels you won’t find anywhere else. Our wide variety of jewels are easily customized online in our web shop. 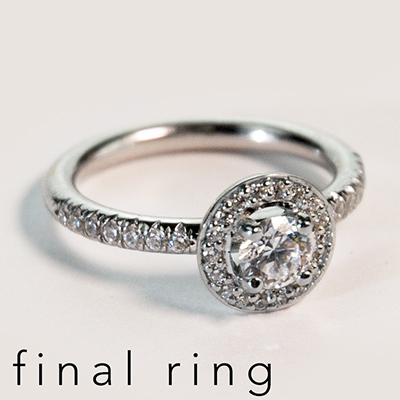 The alterations of precious metals and gemstones can be admired real time in crisp and clear image from every angle. On top of that, at DiamondsByMe you have the opportunity to design your own jewel. Design it yourself with help of our crafty goldsmiths, whom will guide you through the whole process. What makes DiamondsByMe stand out from regular jewelers or goldsmiths is that we are able to visualize a perfect image of the jewel of your dreams. 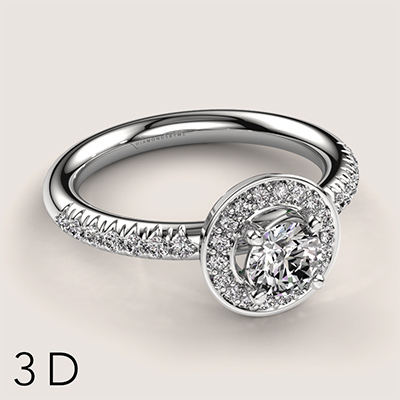 Thousands of 3D designs, available through our database, give you a perfect preview of your ring. ‘When it comes to the new way of crafting jewelry, we are pioneers. We combine ancient goldsmithing with the latest modern techniques. Therefore we are able to create special and personal affordable jewels easier and faster than others can,’ - Remco Broekhuis. Through revolutionary 3D techniques, we can show you a digital image, called a render, of your design which can be easily customized. If and when you are unsure about your design, we are able to print a 3D dummy. 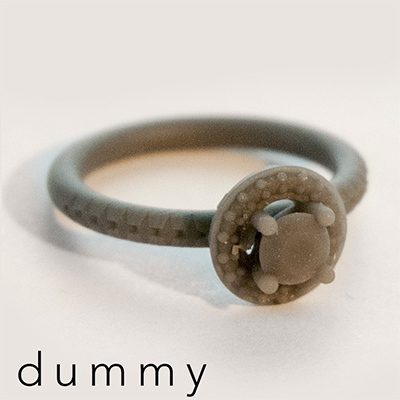 You will be able to try on your dummy and view it up close, so you know exactly how the jewel will look. No unexpected surprise awaits you! We are proud member of the Responsible Jewellery Council (RJC), a nonprofit organization involved in certifying. From mining to jewelry shops: they make the rules within the jewelry business. The RJC has over 850 active members throughout the entire jewelry industry. Being a member of the RJC means working solely with conflict free precious metals, Fairtrade and recycled gold and conflict free diamonds and other gemstones. We offer a wide variety of jewels, which can be customized online, almost half the price of what you pay for it anywhere else. At DiamondsByMe, you even have the ability to use an existing gemstone and have it set in a new jewel. Feel inspired and bedazzled by the many available options. Please feel free to contact us via chat, e-mail or telephone if you have any questions. DiamondsByMe. Handmade for you. Crafted by us.